At Machu Picchu – the end of the Inca Trail. Every child is different, so there’s no saying what worked for us will work for others. That said, here are a few things we took away from the Inca Trail experience with our 8 and 10-year old boys that might help those that come after. 1. Make sure the kids (and you) have walking poles. It’s amazing how much additional stability they provide. The poles also make from great light-sabres, swords and guns during rest-breaks. 2. A buff is a wonderful camping tool – from keeping off mosquitos to filtering out the awful smells when venturing into the toilets, a buff is the Swiss army knife of camping equipment. 3. We made very sure to make sure the kids were mentally prepared for how tough the walk would be. So much so that they didn’t find it that tough at all. Before doing the Trail I’d make sure that the kids had walked a serious distance to the point they’d had to push themselves to finish. 4. Other people on the Trail varied from very supportive to so lost in their own world of sore legs and vertigo that they just pushed through the kids. Most people were just thrilled to see such small people doing something so interesting and keen to chat with them. 5. Bring lots of hand-sanitiser. I don’t want to sound obsessed but the toilets were a horror for the kids and a real potential health-hazard, especially in the pitch dark. 6. If you can organise a small group or a private group. It would be easy for the kids to get lost in a large group which quickly gets spread out over a wide range of walking speeds. I don’t mean physically lost, but to not get the sort of attention from the guide which makes the whole experience really entertaining and engaging (and to have the guide hold their hand over the more dangerous bits). 7. The Trail is a wonderful experience and well-within the grasp of kids of around eight and up. I personally wouldn’t go much younger and I doubt a young child would enjoy or get so much out of the experience. One of the guides I talked to had had a 4-year-old do the trail but he’d had to be carried the entire way which doesn’t sound like such fun to me. But you never know, it always depends on the individual. Doing the trail is a wonderful experience at any age. Doing it with children is entirely fun, engaging, educational and exciting – and worth every twinge from your calf muscles. We’re considering doing the trek next year with our kids – will be 9 and 11. They’re good campers/hikers/travelers. 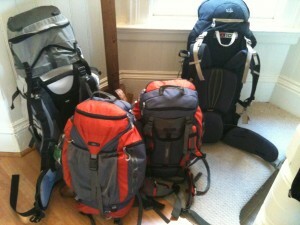 I’m not too concerned about the hike, so much as I am about altitude-related issues… Did you find this to be a problem? How much time did you give yourselves to acclimatize prior to the trek? We did have issues, largely our own fault though. It’s easy to underestimate how awful altitude sickness can be, reading about it doesn’t begin to describe the feeling. Our mistake was in going straight from Lima to Puno. In retrospect we should have gone to Cuzco first – or even better gone to somewhere halfway between Lima and Cuzco first. Once we were acclimatized there was no issue – the kids seemed to have less of a problem with the altitude than we did during the walk itself. But getting properly acclimatized before starting out is absolutely crucial. So depending on the time available to you either ascend more slowly or fly into Cuzco and allow several days to acclimatize. Thanks so much for your reply! Right now our plan is to spend two nights in the Sacred Valley, followed by two nights in Cusco before starting the 5d/4n version of the trail… Still paranoid, but hoping it will be enough! 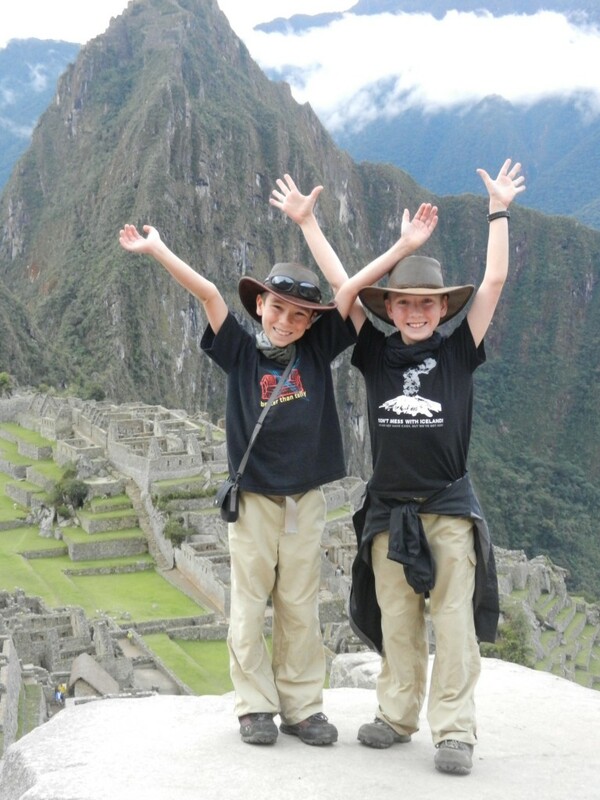 I know this is an old post, but we are considering hiking the Inca Trail with our boys next summer, they will be 7 and 10 (a few weeks from 8 and 11). We have taken them backpacking a few times and they loved it, and we routinely take them for 3-4 mile hikes – they climbed 3000′ without complaining on one recent hike. I’ve found very few posts/blogs about people doing the trail with kids the ages of our kids. We are both active runners/cyclists/hikers, and the kids are very active, so it’s hard to gauge if the trail would be appropriate for them, as many posts warning of the difficulty are from relatively out-of-shape adults. Did your younger son do okay physically? My kids are tall for their age but I still worry about the little guy’s leg length on the steps. The older one is 5 feet tall already so he’ll be okay. Thanks so much!